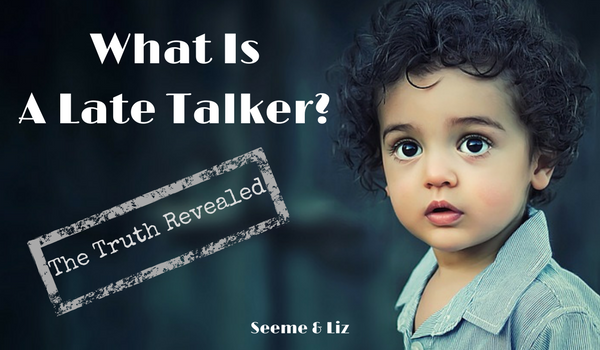 Seeme & Liz > Parenting Tips (0-2 year olds) > What Is A Late Talker – The Truth Revealed! 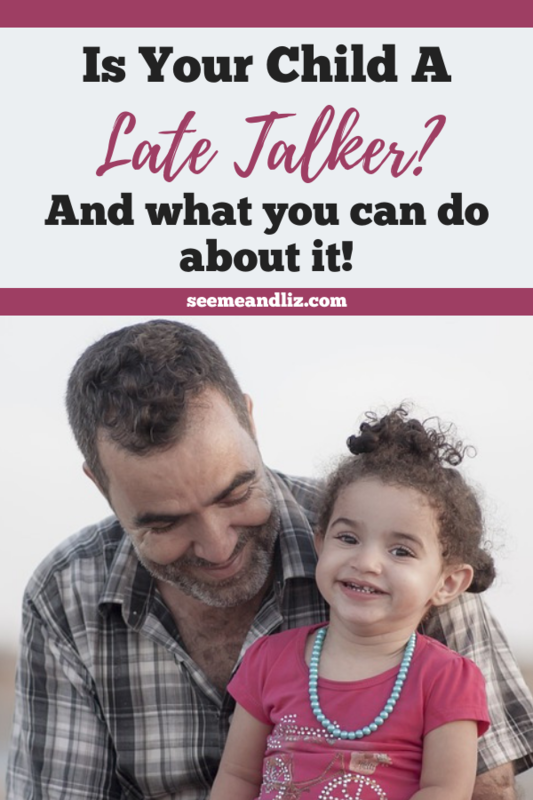 While practicing as a speech-language pathologist I often heard parents say “oh, my child’s just a late talker, according to our Doctor”. But what is a late talker exactly and is there reason to worry? 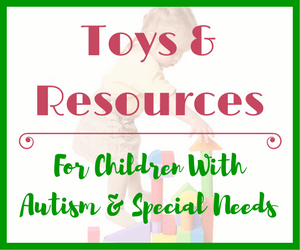 A child who does not have any developmental or physical delays such as Autism, Down Syndrome, Cerebral Palsy, etc. 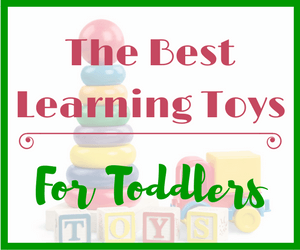 A child who simply isn’t using any, or as many words as would be expected for his/her age. This is considered an expressive language delay. Late talking children often tend to be boys (although girls can be late talkers as well). Babies born prematurely or those with a low birth weight are at a higher risk for being late talkers. In many cases, it is common to find that there is a family history of late talking or speech-language delays. How Many Words Should A Toddler Be Using? Nouns: Shoe, ball, mommy etc. Action Words: Eat, drink, sleep, etc. Descriptive Words: Big, little, cold, hot, etc. Preposition: In, on, up, etc. However, don’t be alarmed if your 18 month old is only using nouns and action words. In the next 6 months he will continue to learn to say more words including descriptive words and prepositions. You will also see pronouns emerging (e.g. my, mine, you, she, he). Word combinations usually can be heard between 18 and 24 months. Children typically need 50+ words made up of nouns, verbs, adjectives, prepositions and pronouns before they will start to spontaneously combine words to make simple 2 word phrases (e.g eat cookie). If your child isn’t using many words, download my FREE checklist “The 85 Most Common First Words”. Use this list to check off words your child is already using and refer to it to come up with ideas for simple words he may start saying soon if he hears the word enough. By 24 months a child should be using 100+ words. Novel two to three word combinations such as “drink juice”, “mommy big shoe”, “light on”, etc. are being used more regularly to communicate. In order for a phrase to be considered novel, it must not be a memorized phrase such as “good night” or word repetitions like “bye, bye”. For more information on what a child should be doing at a certain age, head over to ages and stages of language development. If, based on this information your child falls into the “late talker” category and you are not working with a Speech-Language Pathologist, be sure to get the book “It Takes Two To Talk” by Speech-Language Pathologist of the Hanen Centre, Elaine Weitzman. This book is packed with information and strategies that you can implement at home right away! I always recommended this book to parents of young children with mild to moderate speech and language delays! Don’t let the price tag discourage you. It is well worth every penny! I have seen several articles in the media leading readers to believe that it’s OK to take a “wait and see” approach and that pretty much all late talkers end up being just fine. Here is an example of one of these articles: Late Talkers Do Fine As They Grow Up . However, this study and others like it, mainly look at behavioral and emotional outcomes. It’s a given that a late talking child may develop some behavioral and emotional issues. They are frustrated that they cannot communicate to have their needs met. Thus, they may resort to hitting, biting, crying, screaming etc. Once they start talking, these behaviors usually subside. What these studies fail to look at are the language outcomes. Therefore, based on these studies alone, there is no way of saying that late talkers will be fine with regards to language development. 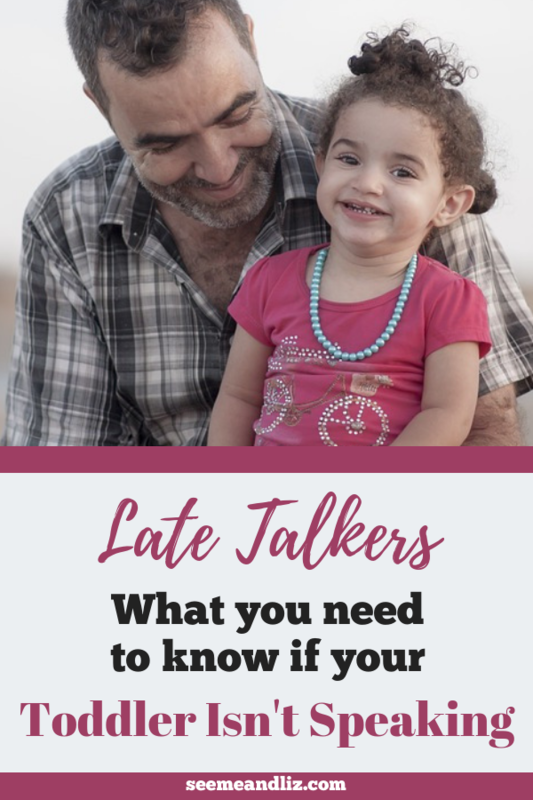 An observation I made while working as a speech pathologist was that several children who I was seeing for speech delays (not producing sounds properly) were often described as late talkers by their parents during our initial assessment session. While I was working with them, their language skills were not the issue because they had “caught up”. But because they didn’t really speak until they were older than 24 months, they didn’t have the practice producing many of the sounds their peers did. So even though they didn’t have lasting language delays, they had speech production delays. Studies, such as this one by Ellis EM and Thal DJ. (2008) found that about 70-80% of children who were late talkers (purely an expressive language delay) did catch up to their peers with regards to language development, without any form of language therapy. But where does that leave the other 20-30%? Sharma M., Purdy, S.C. and Kelly, A.S. (2009) found that the children whose language skills did not catch up and did not receive language therapy continued to struggle with expressive language as well as reading and writing once they entered school. There is another group of children who do seem to catch up in language skills without any intervention. When these children enter school they are speaking in sentences and are able to communicate and socialize with their peers. In spite of that, Rice, M. L., Taylor, C. L., and Zubrick, S.R. (2008) found that these children often fall behind their peers in some aspects of language development such as grammar and language complexity. They may also have smaller vocabularies when compared to their peers. This is the group of children that concerns me the most. These children will continue to struggle as they get older, but the struggles will be considered minor. They typically will not qualify for any type of language intervention once they enter school because the delay is not considered severe enough to warrant intervention. Yet, as the child gets older it will become more apparent that they aren’t quite at the same level as their peers. Early language intervention occurs during a crucial time in a child’s development, which is between the ages of 0 and 3 years. Children can learn so many skills during this time in their lives that will set the foundation for skills they haven’t even acquired yet. 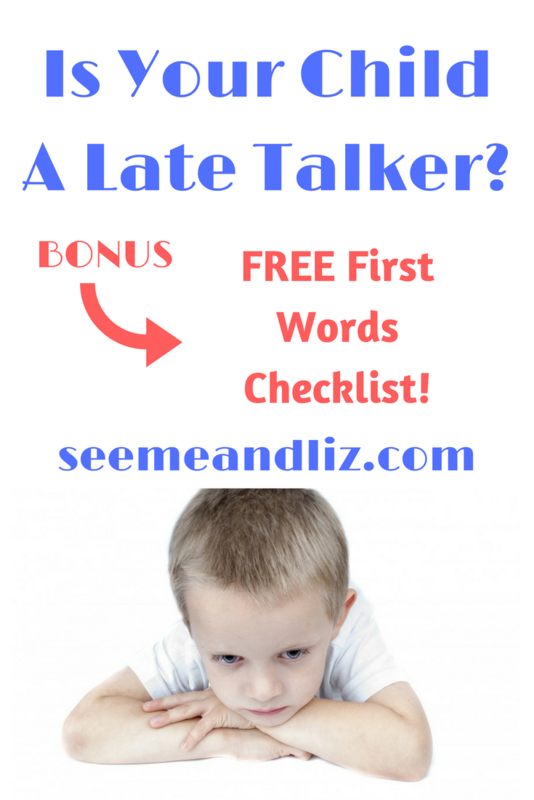 If your child is a late talker, my opinion is to always have them assessed by a licensed Speech-Language Pathologist. The speech pathologist may advise a “wait and see” approach based on their evaluation or they might suggest a few therapy sessions or perhaps a home program where the parents follow a plan set out by the therapist and check in every few weeks/months to see if goals are being met. As I mentioned above, about 20-30% of children do not completely outgrow their expressive language delay and will have ongoing difficulties once they enter school. It is impossible to predict which children will fall into this 20-30%. But there are some red flags that you can be on the lookout for. If your child (18-30 months) has any of these in addition to not using as many words as expected, please have your child seen for a speech and language evaluation. The sooner the better! words that are used tend to only be nouns and verbs. Prepositions, pronouns and adjectives are never or rarely used. To reiterate, studies are showing that “late talkers” do not always catch up with regards to language development when intervention is not sought out. Approximately 20-30% of children do not catch up to their peers, even when the delay is purely an expressive language delay – meaning they do not have any of the red flags mentioned above. I know that Einstein didn’t talk until he was 5 (or something like that) and he turned out to be a genius. Of course this is possible as we know that 70-80% of children who are late talkers turn out to be just fine, or even gifted, without any type of intervention. But, since we cannot really predict which children will fall into the group that will have struggles once they enter school, isn’t it better to be safe than sorry and have your child seen by a speech-language pathologist? 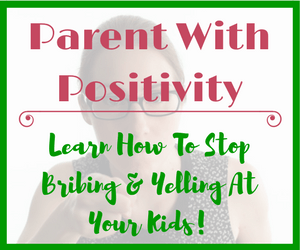 If nothing else but to ease your mind and know that you have done what you can to help your child! If you still have any questions or have any thoughts on this topic you would like to share, please post a comment below. Don’t forget to download your 85 Most Common First Words Checklist! Hello! I definitely need help. I have a three year old boy, but he is still talks like a one year old. He still doesn’t call me mum, or his father daddy. He cries when he wants something, does not follow instructions, cannot construct a simple sentence but he can sing his nursery rhymes, can count up to 20, and can also say ABC up to Z but only says it when he wants to. Nobody can make him say it. I am really getting worried and frustrated. He has been going to a speech therapist since he was 2, once a week but his speech is still not improving. I am sorry to hear that your son is struggling so much with both expressive and receptive language. Has his hearing been checked by an audiologist? Since he is being seen by a speech therapist I assume this would have been looked at. Has his speech therapist recommended having any testing done by either a developmental pediatrician or educational psychologist? As he has been receiving speech therapy since he was 2 with little to no improvement I would begin by asking for further evaluation. Also, consider teaching him some sign language in order to increase his vocabulary and expressive language skills. I have written several articles on the subject which you can read below. I’m a former elementary school teacher, and I can remember working with some of my 2nd and 3rd graders who received speech services. Some of them managed to catch up and exit the speech program and were fine, academically, but others really struggled with overall language arts skills (mostly in phonemic awareness), thus putting them behind their peers in a traditional school setting. So naturally, I can’t stress highly enough the value of a SLP evaluation of a child whose speech is not progressing as normal. My son just turned 2 and has a very limited (50 word) vocabulary, most of his words are difficult to understand, and he is not combining words yet. So we have an eval already set up. I would rather get him the help he needs NOW, as a toddler, than wait until he’s school-age and struggling — even though I plan on homeschooling him along with his older sister. My husband thinks it’s unnecessary, but he himself had speech services as a toddler with Early Intervention as he actually has Cerebral Palsy and struggled to speak due to his disability. We do have a family history of learning disabilities and speech in my family. So I suspect that between genetics and my very chatty daughter, my little guy is in need of a little extra speech TLC. If you have any concerns whatsoever, get your child some help! It certainly does not hurt! Every time I question if setting up this speech eval is the “right” thing to do, I meet someone else who shares how he or she received speech as a kid and benefited from it and talked about as much as my son does now. Thanks so much for sharing your story. I think this will be very beneficial for many readers. When you mentioned your son being 2 and having 50 words I thought to myself, that is considered average. But then you mentioned he isn’t combining words and isn’t very clear which made me think a speech eval is the right way to go. Especially with the family history. It is much easier for a child to “catch up” to their peers when therapy is provided early. You are on top of things and with your background I am sure he will do very well! First of all, Tanya, did I read somewhere recently that Einstein suffered from Asperger’s? Which may prove, as you say, that not all late talking children should be treated with the ‘wait and see’ approach. Einstein ended up being the genius that he became, but it may not quite be the same for all late talkers, so yes, I completely agree when you say to approach a speech and language therapist for advice. I think I actually read that somewhere as well, that Einstein may have had Asperger’s. It’s great your parents took to to see a speech-language therapist when you began to stutter. Stuttering often runs in families so it is not uncommon to see a child stutter when one of his parents stutters. It sounds like you learned some great techniques that allowed you to speak smoothly! This is an extremely informative blog and I’ve bookmarked it to share with my daughter who is expecting her first baby next month. I have a friend with twins who are now 3 but as they were developing, the little girl spoke much earlier than her brother. She could put words together into little sentences much much earlier than he could. We all assumed it was either he had nothing to say yet or boys develop a little later than girls do. Thanks for your comment. I’m happy to hear that you enjoyed the information I’m sharing. With twins it’s not uncommon for one to speak before the other. However the slow to talk twin should catch up fairly quickly. If he/she still isn’t saying my by the age of 2 I would recommend a speech-language evaluation. My 3 year old daughter has not been able to speak properly using normal words. She’s very talkative though but in her own baby language. She understands partially when I speak to her and she reacts accordingly most of the time and she’s also very active. I’m planning to send her to pre-school next year. I know it’s too early, but since she loves coloring and activities and my local pre-school accepts toddlers 4 years and above. So, my question is, would it be ok for me to send her, or just wait another year or two when she’s fully able to communicate properly? The reason I’m asking is because that, I’m not sure whether this is going to stress her out or not, for not being able to communicate properly with her teachers and friends yet. Would appreciate to hear your comments on this. By the way, thank you for this post, Tanya. I think it is a great idea to send your daughter to pre-school. Just be sure to pick a play based (the more child led the better) than academic based one. 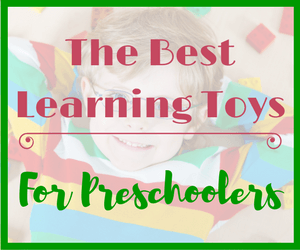 I wrote an article all about preschools and daycares and what to look for. You can read it here. It may be worth it to go to one a bit further away if it would be better for your daughter. Unless your local one is play based. Then even better. I would suggest going to the preschool with your daughter and spending an hour or so there to get a real feel for it. 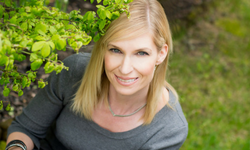 Have you had your daughter assessed by a Speech-Language Pathologist? If you haven’t please do that as soon as possible. It would also be worth it to have her hearing checked by an Audiologist. I am happy to hear that your son was in the 70-80% of children who did not have any long term issues as a result of being a late talker. You are very lucky that he did not display any negative behaviors as a result of not being able to talk. I hear many parents say that they think their child is lazy or stubborn, but I have to disagree with this. If a child could talk, he/she would. It is much easier to get wants and needs met through talking. And young children do not have the foresight to decide not to talk to prove a point or something similar. If a child is not talking (when they should be) it is because they can’t. Unfortunately we do not know why some children take longer to speak than others. And, like I mentioned in the article, for many children they will end up talking and be just fine. However, a small percentage (20-40%) of children won’t be that lucky and there is no way to predict which group a child will fall into, since not all children will have the red flags I discussed. Hi thanks so much for valuable information. I will show this article to a friend of mine. 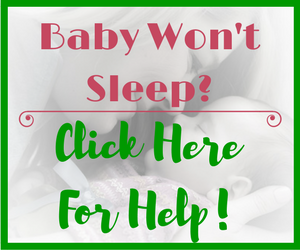 She thinks her baby is speaking very few words and is concerned about its development. My brother was a late talker and didn’t have any problems. I don’t remember how long it took him to speak, but I remember he jumped really quickly and caught up with ease. Thanks for your comment. I didn’t write this article to scare people or to drum up business for Speech-Language Pathologists. I really want to make parents aware that yes, there is a range of what is considered average development and each child does develop differently from the next. However, language development (including vocabulary and the ability for combine words to form sentences) is a good indicator of a child’s future success. I am happy to hear that your brother, despite being a late talker, went on to be just fine. So he would have been in the 70-80% of children who are late to talk but have no lasting effects of that.